Earlier this week, Microsoft announced that the company is voluntarily recalling the AC power cords sold with the Surface Pro, Surface Pro 2, and Surface Pro 3 following overheating concerns that could make it a potential fire hazard. A Microsoft spokesman spoke to Betanews “As a result of damage caused by AC power cords being wound too tightly, twisted or pinched over an extended period of time, a very small proportion of Surface Pro customers have reported issues with their AC power cord. We will be releasing details of how customers can obtain a free replacement cable shortly.” An earlier report by Channelnomics Europe said the recall would start on Friday, January 22. 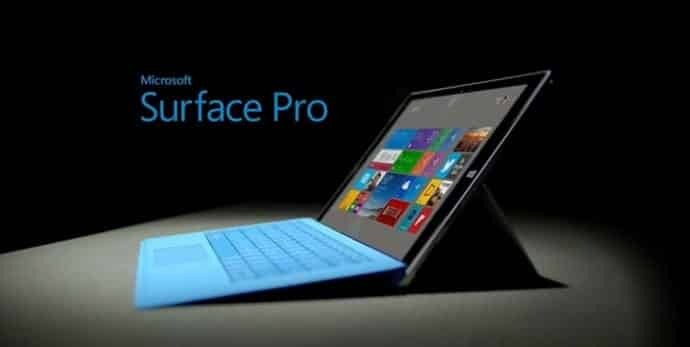 The Channelnomics report also said that the recall would affect all Surface Pro models sold before July 2015. However, a Microsoft spokesperson confirmed to ZDNet that in the U.S. the recall would only be for tablets sold before March 2015. Also, if the device is purchased outside of the US or Canada before July 15th, then it’s also affected by the recall. However, the voluntary recall is not expected to target the Surface Pro 4, which Microsoft launched in the fall of 2015, or its non-Pro Surface models. In the U.S., Microsoft will be providing the free power cord exchanges for Surface Pro, Pro 2 and Pro 3 models sold before March 2015, the spokesperson clarified. The replacement affects the AC power cord that connects to a power outlet, rather than the cord that connects directly to a Surface Pro. Microsoft is planning to supply one AC power cord replacement free of charge for each eligible Surface Pro device. You can find out if your device is affected by checking your serial number at Microsoft’s Surface. If your AC power cord is affected, then you can now request a new cord from Microsoft from this link.